A well-mannered child will stand out in today's world for all the right reasons. Saying, "Please" and "thank you," and using good table manners will get your child noticed by teachers and other parents. Teaching good manners can seem a little tricky, however. It can be hard to convince a child to follow basic manners when his peers at school might not be doing so. Praise your child whenever you catch him using good manners. For young children, this may mean saying, "Great job remembering to say 'thank you.'" Praise older kids for putting their phone away when they're at the dinner table or for shaking hands when greeting a new person. Don’t embarrass a teen by praising him in front of other people. Instead, have a private conversation about how you appreciate that he behaved politely toward guests at a family gathering or give him positive feedback on how he handled an interaction with a store clerk. The best way to teach your child any new skill is to be a good role model. When your child sees you speaking politely to others and using your manners, he’ll pick up on that. Pay attention to how you interact with your spouse or close family members. Sometimes, it's easy to forget to use manners with the people you feel most comfortable with. Send thank you notes, ask for things politely, and show appreciation when people are kind. Whether you're in line at the grocery store or you're calling your doctor's office, your kids are paying attention to your behavior. And be careful about how you handle situations when you’re upset. If you’re angry with someone, do you tend to raise your voice? Do you use harsh words when you think someone has treated you unfairly? Your message about the importance of using manners won’t be heard if you don’t model how to behave politely and respectfully. Role playing gives kids an opportunity to practice their skills. It can be a helpful strategy when you're entering into a new situation or when you're facing some complicated circumstances. If your 5-year-old has invited friends to his birthday party, role play how to use manners while opening presents. Help him practice how to thank people for his gift and how to respond if he opens a gift that he doesn’t particularly like. Sit down with your child and say, “What would you do if…” and then see what he has to say. Pretend to be a friend or another adult and see how your child responds to specific situations. Then, provide feedback and help your child discover how to behave politely and respectfully in various scenarios. Kids are more likely to remember their manners and specific etiquette rules when you provide a brief explanation about why a particular behavior is considered impolite or rude. Avoid lecturing or telling long-winded tales. Instead, simply state the reason why a specific behavior may not be appreciated. If your child is chewing with his mouth open, say, "People don't want to see the food in your mouth when they're trying to eat." If you make a big deal about it, you may inadvertently encourage the behavior to continue. But, if you can just state the reason in a calm and matter-of-fact manner, it can serve as a reminder for your child about why other people may not appreciate what he's doing. By the time your child’s a teenager, you should be focusing on advanced skills like phone etiquette and more complex communication skills. 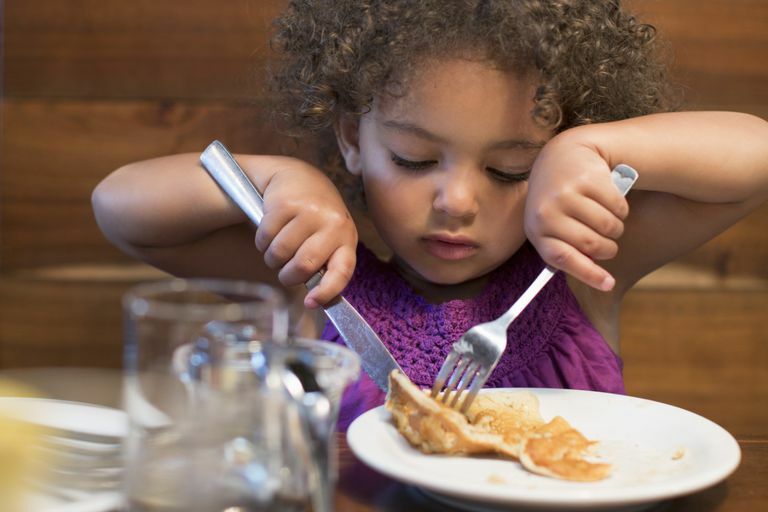 Sometimes it’s helpful to really focus on one area at a time—like basic table manners—before moving onto other skills. If you give your child too much to learn at once he may become overwhelmed. It’s common too for previous skills to be revisited from time to time to make sure your child is remembering to use them.